The Yacht Week hosted no ordinary evening of horse racing at Goodwood, the UK’s most stunning racecourse. 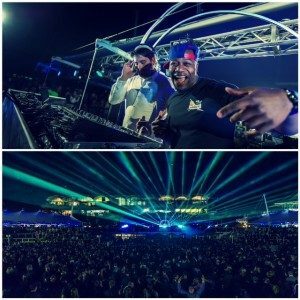 As soon as the last race pushed through the finish line, the guests anxiously made their way to the massive dancefloor where Rudimental brilliantly performed their energetic DJ set to start the party off with a bang. The dynamic combination of racing, music and dancing created a truly unforgettable experience at the coolest venue under the stars. Thanks to the stunning hospitality area of Goodwood, the event proved to be a sensational sell out for the night to welcome the summer.